Customer Service: 2 Years Factory Warranty and Brand New Replacement Post within 24 Hours If Any Defective Item when receive .Lifetime Support and 24 Hours Customer Service and Technical Support Email: Toerapta@163.com Contact us For Replacement if You Received the Item In Defect , Instead of Just Return or Negative Review . Trust us , We Will 100% Help . Easy to follow step by step DIY programming instructions are included with your purchase. 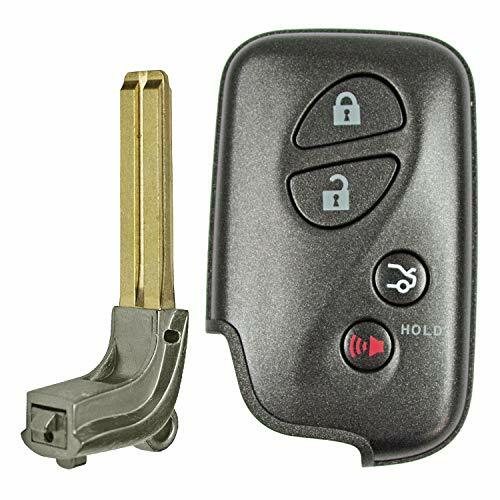 1.This item is just a keyless entry remote shell replacement.NO interior (remote/electronics/transponder chip)unit inside. 2.Your original remote must look exactly the same as the car key shell pictured. It must have the same number of buttons as the car key case pictured. 3.Please notice that this key cover housing doesn't have a chip holder. And others which look the same as the car key shell pictured. GREAT REPLACEMENT KEY FOB SHELL: A great replacement case shell for selected Honda vehicles. No electronics or circuit board are included. Just an empty case. 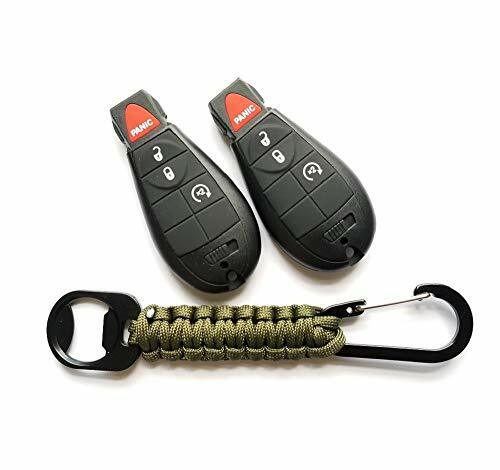 BEST MONEY SAVING KEY FOB CASE: This is a great replacement shell for a car key remote with broken buttons or worn key case. EASY INSTALLATION: No programming is required. Simply swap your existing electronics inside this key shell and install your original key to this key case. 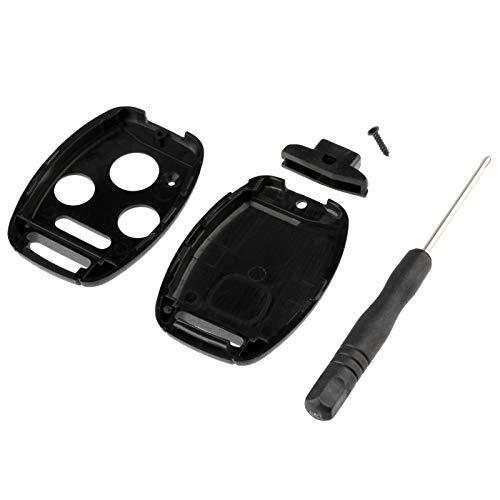 COMPATIBILITY: If your existing Honda key remote shell looks the same as the picture shows,this keyless entry remote key fob shell case will fit. Please notice that this replacement key shell doesn't have a chip holder. 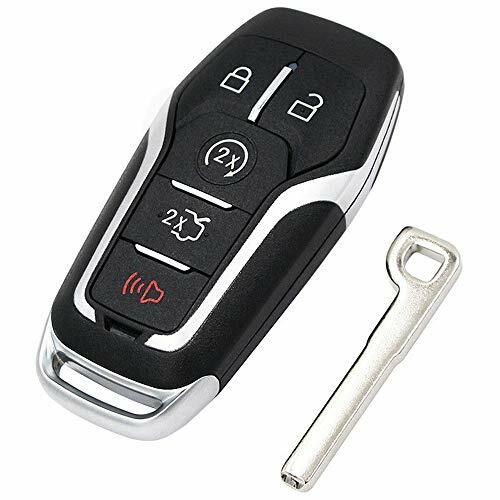 DURABLE KEY SHELL with SATISFACTION GUARANTEE: Constructed with high quality materials,this replacement smart keyless remote shell case is durable for long use. If you are not satisfied with this key casing,pls just feel free to contact us for a full refund or a replacement. Easy to follow step by step DIY programming instructions are included with your purchase. Programming for The Lincoln LS requires a trip to the dealer or auto locksmith, all other vehicles are self programmable. 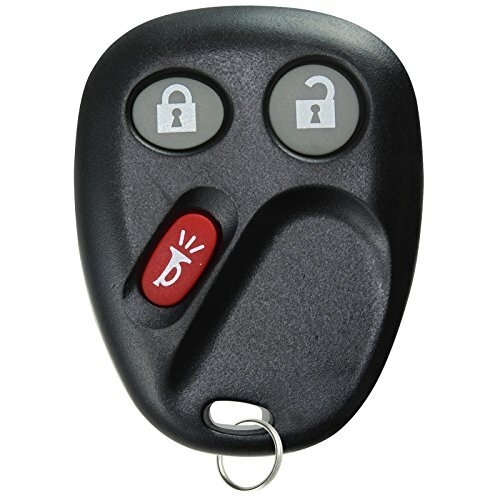 Replace your lost or broken keyless entry key fob remote with a USA remote fob. 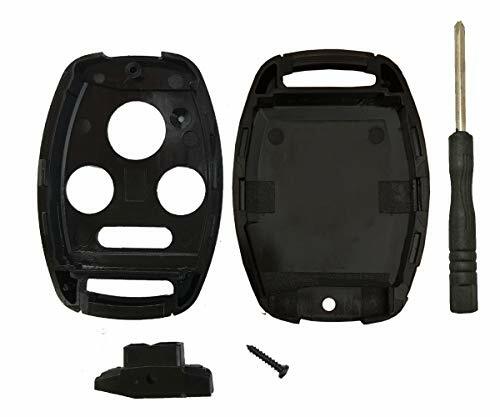 Fits p/n: Cwtwb1u331 gq43vt11t cwtwb1u345ford:1999-2014 econoline e150 e250 e3502007-2015 edge2001-2014 escape2002 escort2000-2005 excursion1998-2016 expedition1998-2015 explorer2001-2010 explorer sport trac1998-2001 ranger1998-2016 f-150, f-250, f-3502009-2016 flex2006-2012 focus2004-2007 freestar2005-2007 freestyle2006-2012 fusion1998-2012 ranger2008-2009 taurus1998-2003 windstarlincoln:2002-2003 blackwood2007-2013 mkx2007-2016 mkz2006-2008 mark lt1998-2008 navigatormazda:2001-2010 b23001998-2001 b25001998-2008 b30001998-2010 b4000 2001-2011 tributemercury:2003-2004 marauder2005-2011 mariner2004-2007 monterey1998-2010 mountaineer1998-2009 sable. NATIKA WD-011, The Amazing Wide Angle, Night Vision and Waterproof Backup Camera Specification Signal System: NTSC Resolution: 600 TV lines Effective Pixels: 960(H)*576(V)pixels Low illumination level: 0.01Lux Lens viewing angle: 170 degrees Waterproof IP Rate: IP69K Power supply: DC12V-24V Amazing Wide View Angle--Rear view camera WD-011 horizontal angle is 145 degrees (visible range up to 95%). 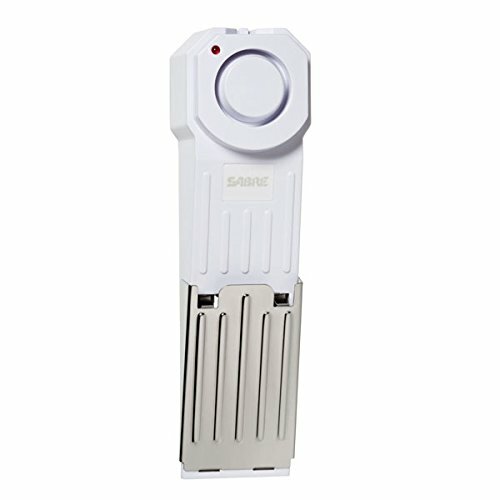 Solid Waterproof IP Rate--Reverse camera WD- WD-011with IP69K waterproof IP rate. It used strict waterproof skill and great waterproof materials. 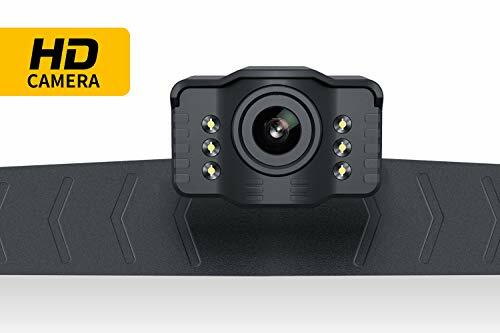 High Resolution--Rear view camera WD- WD-011 built-in the latest 1/2.7inches high sensitive CMOS and digital high-definition image processor, it's maximum pixels is 1280*720, and effective pixels is 960*576 at 25 fps, the TVL of WD-007X is up to 900TVL. Great Night Vision--Reverse camera WD-011 built-in the latest 1/2.7inches high sensitive CMOS and Digital high-definition image processor, also with a Grade A 6G All-glass and F1.8 large aperture lens, so it presents you clear images even in day and night. Useful Wire/Loop Control Design--Reverse camera WD-011 with 3 small wires/Loops (White and Green and Purple color). *If you need a rear view camera with hanging mounting installation, please keep the purple wire/loop(hanging mounting is a great design for Sedan, SUV, Station Wagon); *If you need a rear view camera with sitting mounting installation, just cut the purple wire/loop(sitting mounting is a great design for pickup trucks, RVs and VANs) *If you need the guide line, please keep the green wire/loop; *If you no need the guide line, please cut the green wire/loop; *If you need a front view camera, please cut the white wire/loop; *If you need a front view camera without guide line, please cut both white and green wire/loop; *if you need a side view camera(look backward), please keep the white wire/loop; *if you need a side view camera(look forward), please cut the white wire/loop. Thanks to the IP67-compliant weatherproofing and night vision infrared LEDs, the camera works in a variety of (even extreme) weather condition and at night. 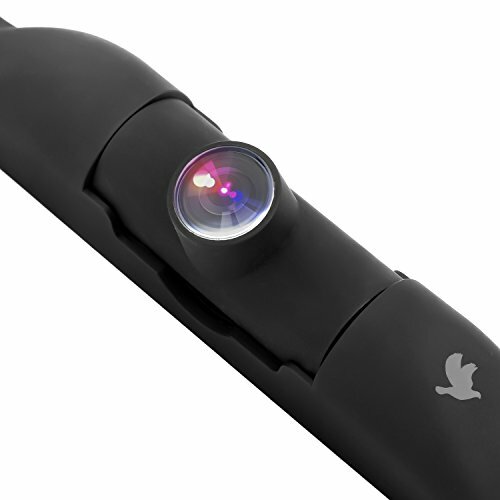 The camera equipped with a 170 lens which is up and down tiltable,it provides you large viewing fields and eliminates blind spots behind you. Looking for the perfect way to secure your recreational vehicle and whatever valuables you might have inside? No matter what you and your family enjoy cruising around in, we should have something that suits your needs. We have designed an innovative mechanical lock that is more effective than a standard deadbolt or standard handle. Here at RVLock, we also provide compartment and cargo locks for the interior of your vehicle or trailer, allowing you to keep your valuables secure. We provide the hardware you'll need for the simple installation process, making it quick while also painless and eliminating the need for other tools. This kit has everything you'll need to feel more secure. In addition, our handle has an ergonomic design and comfort grip for ease of use. Plus, it's powder-coated for optimal weather resistance. We also recommend that any other locks in your camping trailer or motor vehicle be keyed similarly for convenience. This handle comes with only 1 key fob, but extras can be purchased separately to be used on the same keyless handle. We also included a trademarked Quicklock feature for your convenience and further security. In addition, there is a silent setting that can be set up if desired. 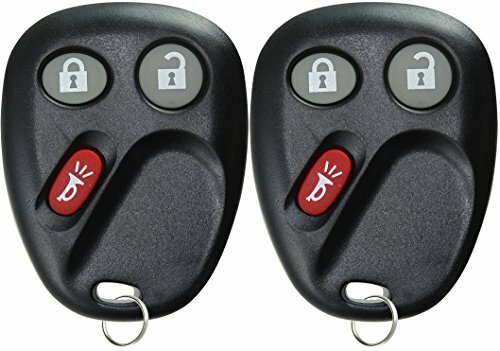 If you have a large family, you're in luck because this programmable anti-theft mechanism can be paired with up to 10 separate key fobs that come preloaded with long-lasting batteries. 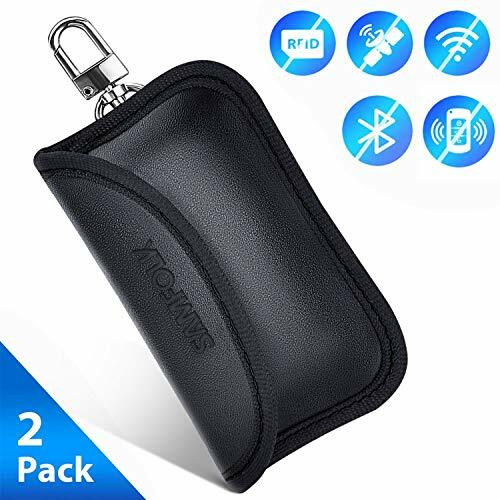 The fobs are perfect for those individuals that have trouble remembering passcodes and make it easier for you if you don't want to give out the code to lots of people. With 3 locking and unlocking options, this handle has everything you'll need. Our compact RVLock is an essential security system accessory that is sure to be an upgrade from your last system. Each of our products is designed in-house, and our warehouses ship to thousands of satisfied customers around the world. Choose from our selection of innovative and cutting-edge products for your next outdoor adventure. SECURE KEYLESS RV HANDLE: If you're looking for a way to secure your valuables as you travel with loved ones in the family trailer or camper, this programmable keyless handle is just what you need. This handle is perfectly designed for individuals who are right-handed and has a heavy-duty steel core for durability. FITS MOST TRAILERS: We have designed our innovative keyless lock technology to fit campers, 5th wheel, bumper-pull style, horse, and cargo style trailers. In addition, it works well for most traveler trailer entry doors. This handle offers all the benefits of the V4 handle in a more lightweight option. It replaces standard handles of about 3.75 x 2.75 x 1.5 and will draw less attention because it is more compact. VARIETY OF FEATURES: Our compact lock comes with a variety of useful features, including a keyless handle, integrated keypad with your choice of over 1 million possible rolling codes, a remote fob (add up to 10), mechanical keys, 4 aa batteries, and an easy 10-minute installation. You can choose to use the keypad or the wireless fobs to lock or unlock the handle. PEACE OF MIND FOR ANY JOURNEY: This innovative technology is just the RV accessory you need to enjoy your vacation. You can also get other security equipment for your RV's interior, such as storage locks, making it easy to have all the doors keyed alike for convenience. Now you can bring valuables along with you on your trip without worrying about a burglary. 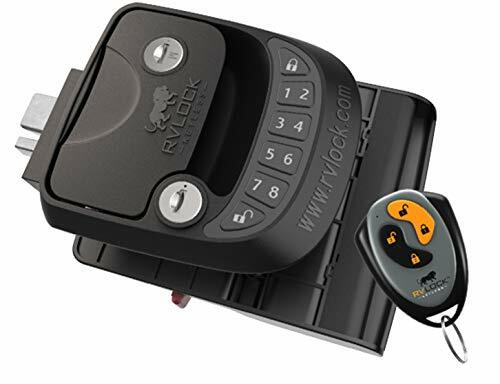 ABOUT RVLOCK: As the first and original keyless entry lock company for trailers, RVLock has enjoyed bringing innovation, ergonomics, and style to thousands of RV and trailer enthusiasts across the country. We build the highest quality trailer security products on the market to give our customers a greater sense of security, comfort, and style. Digital Stable Signal Transmission : The unique digital signal replaces the analog signal so there will be no interference from any other devices .This is point-to-point digital transmission.No more signal instability or flashing screens. Vivid Image Restoration : Specially designed with PC1058 sensor, which provides vivid and smooth images without over-saturated color like pink or purple. Keep away from distortion issue! Better Built-in Transmitter :Compared with other digital products, the transmitter is built into AUTO-VOX CS-2 rear view camera which is designed to be smaller and easier to install. There is no complicated wires. You will no longer worry about where the transmitter should be placed. 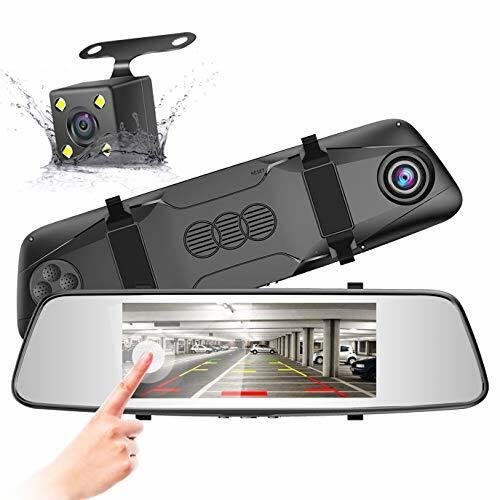 Dual Use Camera &6 Adjustable Parking Line : CS-2 backup camera supports mirror and normal image , you can also put the camera in front of the car to avoid a front blind spot. Besides, the parking line can be adjusted. It will be very useful in irregular parking situation. Superior Night Vision& Durable Rear Camera : 5-full glass lens and 0.1 low Lumen rear camera presents sharp image both day and night only at low light environment). Durable waterproof camera could withstand extreme temperatures from -4 ~149 . Redesigned color camera with improved High Definition chipset. Stylish new design includes upgraded materials for durability and extended service life. Adjustable camera lens to optimize position for your installation. Wide-angle view for enhanced vision. Auto-lighting LED lights for night usage. Economic alternative to WiFi. Unaffected by WiFi interference or failure. 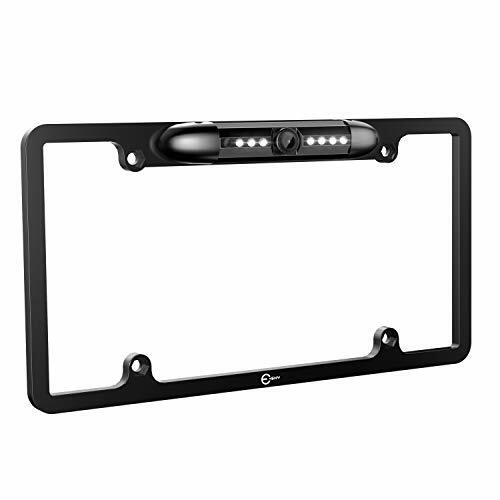 Better reliability than WiFi.Integrated license plate mount for easy installation. Use on cars, vans, and trucks. Can be wired for backup (reverse) or constant power. 26' (8 meter) wire length. Swap your original blade into this new shell, NO CUTTING OR LOCKSMITH NEEDED! No electronics are included. This listing is for a plastic shell. If your original remote has a chip inside the shell you will have to glue it inside this shell! If you are tired of the twisted, blurred, unclear images of the parking camera, we have the news! This high quality rear rear camera will always give you clear images. 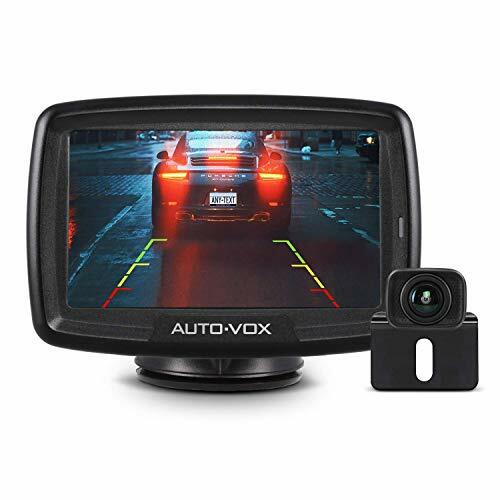 This camera is essential for owners and drivers of large vehicles, such as trailers, RVs, SUVs and trucks, as well as inexperienced car drivers who need parking assistance. It also uses our monitor video system to get the perfect results. The car's backup camera pays special attention to detail, paying attention to every detail to achieve perfect results, ease of use and maximum durability. The camera is IP68 waterproof, so you can rest assured that it is durable! Note: B-Qtech car backup camera is suitable for rear view / front view. Why choose B-Qtech rear view car camera? Once you purchase a lifetime service, your satisfaction is the first. If you have any problems with the product, please let us know within 2 years and we will be happy to help you! Installation instructions and technical support are available at obesthc@gmail.com. Get your product right before we run out of stock! Scroll up and click Add to Cart now. Clear Image : The backup camera will provide you with a perfectly clear HD image for perfect results. It features an NTSC video system with vibrant colors and HD pixels. Suitable for all vehicles : The rear view camera has a universal fit and is therefore suitable for a wide range of vehicles. The camera is also easy to install and is suitable for cars, RVs, trucks, SUVs, etc. Parking Camera : The automatic backup camera has an advanced reversing system that makes parking easier than ever. It also gives you a wide viewing angle for perfect results. 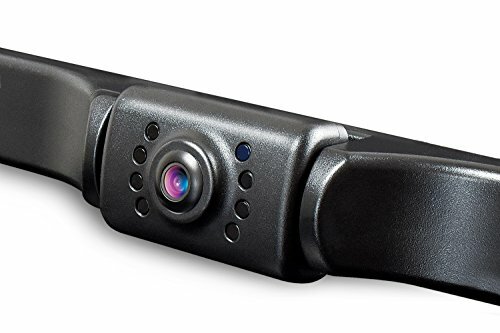 Durable : The reversing camera is carefully crafted with special attention to detail, high quality cable, unique durability, IP67 waterproof and can withstand most weather conditions. Order with Confidence : Buy a lifetime service, your satisfaction is the first, the product has any problems, please let us know within 2 years, we will be happy to help you! Installation instructions and technical support are available at obesthc@gmail.com. 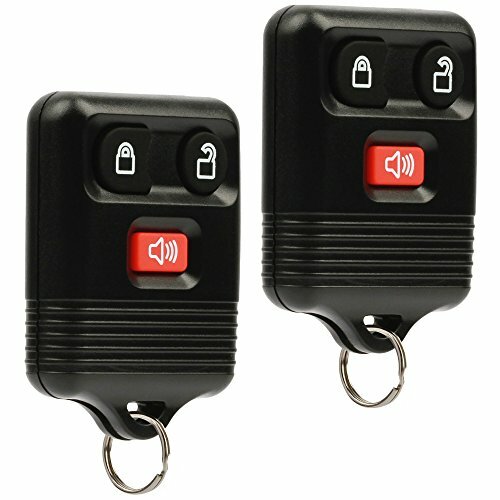 Modern keyless fobs carry identification chips that pick up radio signals sent out by their car. The vehicle recognizes the fob when it's in range and unlocks the doors. Keyless ignition systems work in the same way - enabling cars to start when the key fob is detected in the cabin. Criminals can exploit this via a wireless relay attack. 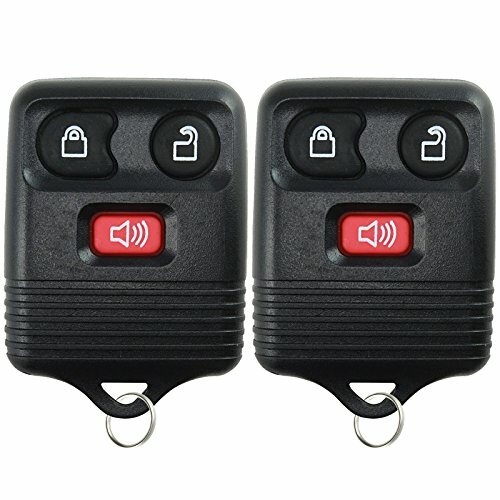 Using a radio frequency relay booster, it's possible to pick up and then transmit a key fob signal to trick the car into thinking a fob is present. This enables entry and theft from the cabin or boot - and, in the case of keyless ignition systems, theft of the vehicle itself. Thanks to its 100% signal jamming capability, Samfolk faraday bag can completely isolate your fob to make such attacks impossible - giving you complete peace of mind as a protector against data loss. WELCOME TO HANGE STORE ! Hange is a professional auto parts manufacturer.We selling products from our own manufacturer directly. The purpose of our company is working on Providing high-quality products and good services for our customers. We promise to provide the best quality products and absolutely responsible for your orders! I'M VERY APPRECIATIVE OF ALL THE SUPPORT YOU'VE GIVEN! WD-011 Small Size and OEM Style & Factory Look and the Amazing Wide View Angle, Night Vision and Waterproof Backup Camera. 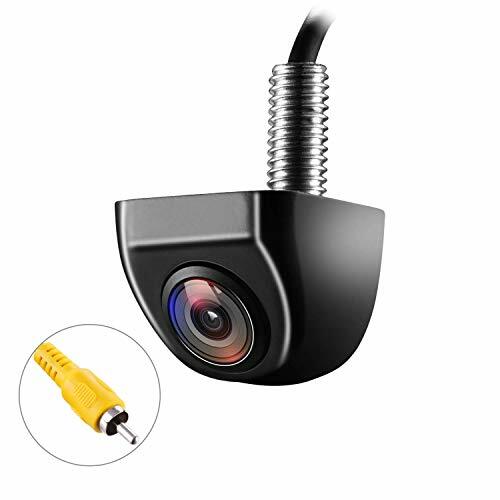 Reverse camera WD-011 with 3 small wires/Loops (White,Green and Purple color). *If you need a rear view camera with hanging mounting installation, please keep the purple wire/loop(hanging mounting is a great design for Sedan, SUV). *If you need a front view camera without guide line, please cut both white and green wire/loop;If for a side view camera,ONLY can installed on a horizontal surface(under left or right mirror),NOT a round,slant or perpendicular surface:look backward,keep the white wire/loop;look forward,cut the white wire/loop. 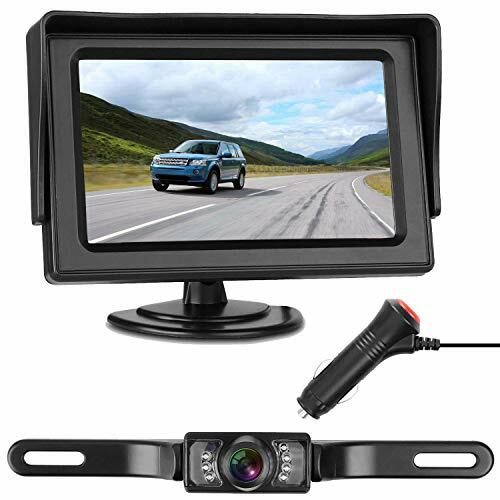 *This backup camera WD-011 is perfect for REAR,FRONT and SIDE VIEW. Monitor/LCD/Screen/Display/Radio not included. 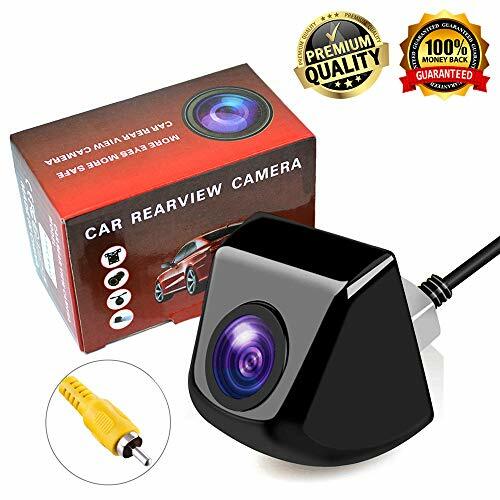 [High Quality Picture] Backup camera with a latest HD 600TVL 1/2.7inch image sensor and 170 degree super wide viewing angle lens, it's great for you to check the invisible blind spot clearly and make parking safe and simple. Provide shigh-definition, high-resolution images without over-saturated color. Keep away from distortion issue!No more signal instability or flashing screens. Waterproof IP67] Provide Waterproof &Shockproof& Fog Resistant .The backup camera designed with fully sealed glue filling craft,It is entirely waterproof and will never fog up after a carwash or on a rainy day, ensuring that you can drive with ease in any weather condition. [Easy install ] No need to drill hole for backup camera. it is connected to monitor via direct RCA Video wire (provided).Need few steps to install ourselves and no professional Installer is required so you needn't pay any extra installing fee.Compatible for most car models including SUV, Pickup, Truck, Mini car, etc. 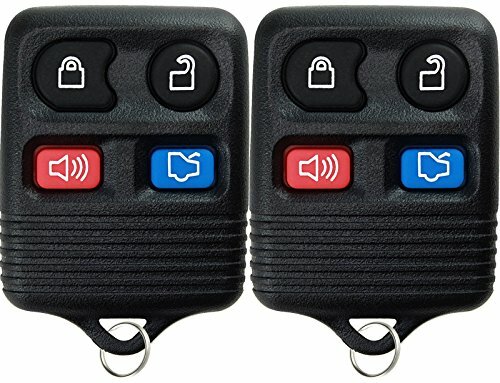 QualityKeylessPlus is an affordable and easy replacement option for your keyless entry remote fobs. This is a high quality replacement for your remote. Key cutting and programming must be performed by a professional locksmith or dealership. Please be sure to match the part #, FCC ID and button pattern to your original remote. We are not responsible for programming or cutting costs associated with this purchase. 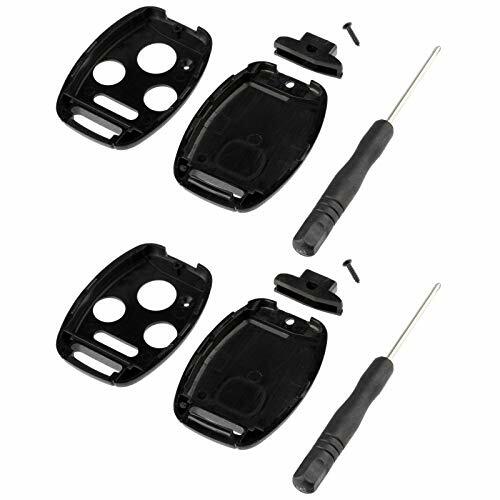 Please be sure to match FCC ID, Part Number,, Button Pattern and Remote Shape to your original remote for proper fitment. Just because your vehicle is listed as compatible, it is only compatible IF part numbers match. Some vehicles have several available remote options. You MUST also open your remote and verify that your current circuit board has a 3370 and an E in the top left corner. This will NOT work ifyou do not have an E in the corner of your circuit board. Fits most: 22007-2013 Lexus IS250, 2008-2011 GS460, 2007-2013 IS350, 2008-2011 GS350, 2007-2012 ES350, 2007-2011HS450H, 2007-2012 LS460, 2008-2012 LS600H IF your currrent circuit board has an E in the corner of it.